As my previous entries (Monkey Business and Falling for Fall) alluded to, I had a busy fall! It was so busy that I am seriously late in completing a baby quilt for little Genevieve. Thankfully her parents were warned ahead of time and they are still excited to work with me! Yay! Genevieve’s mother and I went fabric shopping in early September, and we found some very luscious fabrics. I wanted to just let the beautiful fabrics do the talking for this quilt. 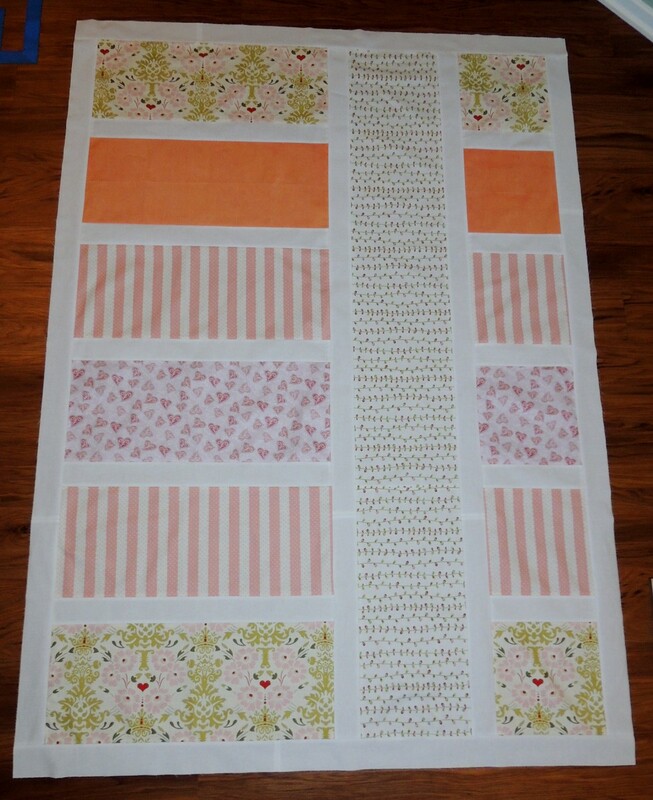 To that end, I found a lovely modern baby quilt pattern by Bijou Lovely that I mimicked. The quilt came out to roughly 47″ by 66″. 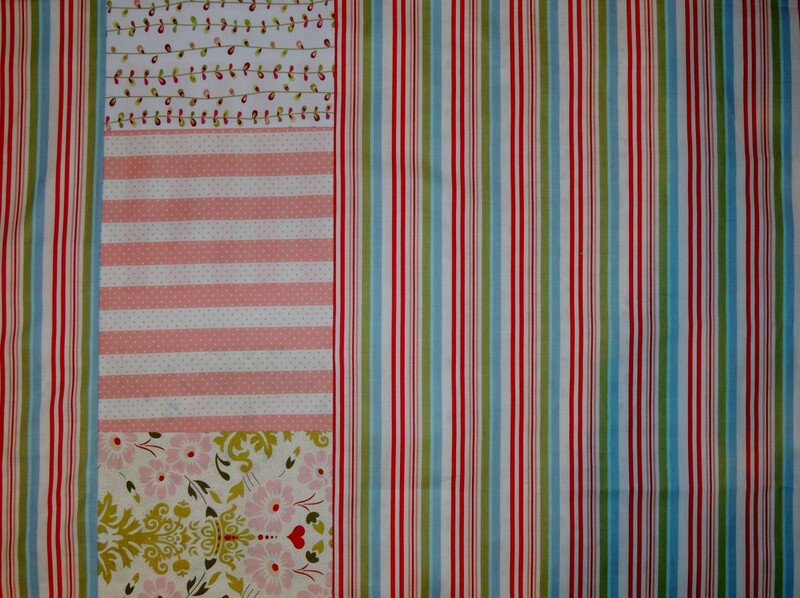 The backing for the quilt is focused around a long stripe fabric and I used up all the remaining fabric to make a pieced backing. OK, there is just a bit of the backing stripe fabric left that might be able to be turned into a small pillow… but that’s it! 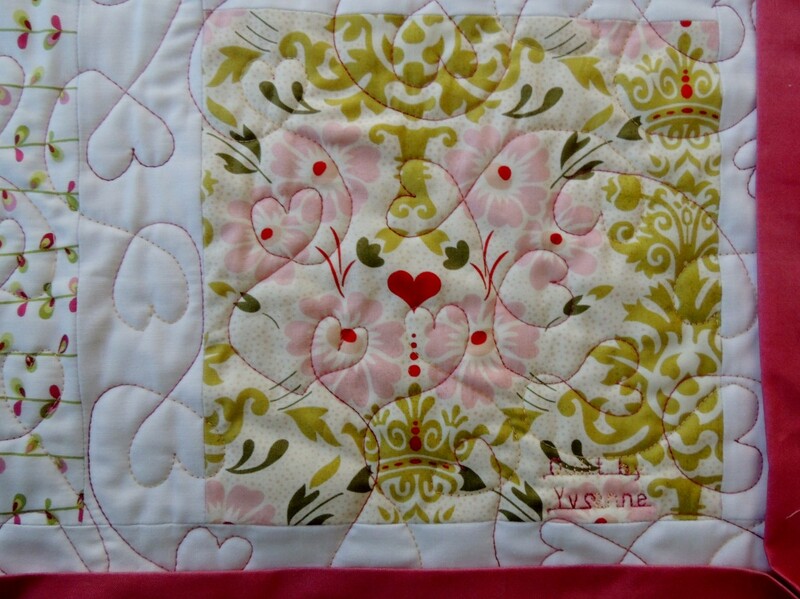 For the quilting, I used a loose heart / swirl pattern.